Stamped 304 stainless steel. #8 FH fastener. Card: 2Size: 2-3/8" x 2-3/8"Width: 9/16".. 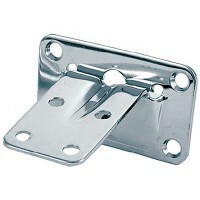 Stainless folding table suppor Card: 1 PRA: 6-1/2"Fastener: #12 RHB: 15/16"C: 11-11/16".. Stamped 304 stainless steel. 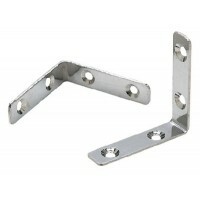 One set includes two wall brackets and two table brackets. A: 2-1/8"Fas..
2 per card. 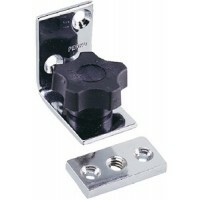 Size: 2-3/8" x 1/2"Fastener: #8..